The butterfly will keep flying. It’s that one big truth. The only truth. And the only sure thing that won’t crumble. Come on. Everyone says to live in EXCELLENCE. Make every move, every action, the best that we can. But why am I like this? I don’t really see that as the big point. Let me tell you this. I seem to hate myself whenever I fail to meet people’s expectations. Even if I really don’t live by that. It’s just the thing of how they see me whenever I do fail that I can’t live with. I feel like it’s just so much weight that I have to let go and let God. I want.. God to excel for me. I want.. God to be responsible for me. Is that too much? Is that an immature thing to ask? Because I feel like it’s just my way of ESCAPING, feigning reality. Because if I open my eyes, I can foresee the consequences – mainly due to my actions, or rather, my LACK of action.. Somehow, I want to run away. Run and dive into the surreal world where I can truly say and believe that “Everything will be okay”. But that’s what faith is about…believing the unseen. I guess my concern is just, the way the world works. I don’t want to fit in. What could be the way? Is this the way? Is this okay? This is all a true story. It was an ordinary morning at one of my classes at school. 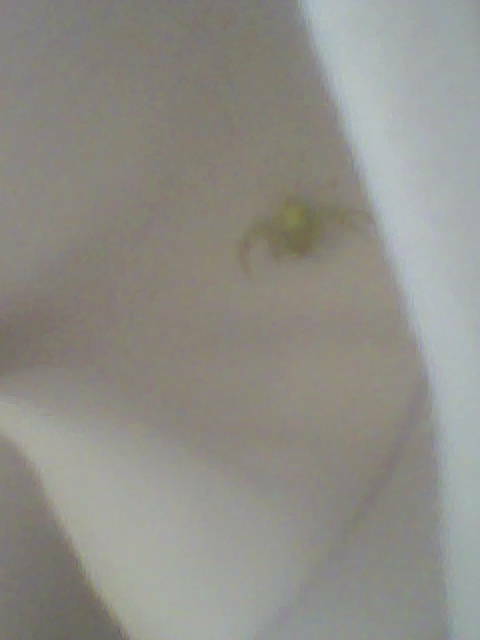 That time when I was in my seat, I found this tiny spider resting at my shoulder. I have never seen anything like it. I especially love his color. 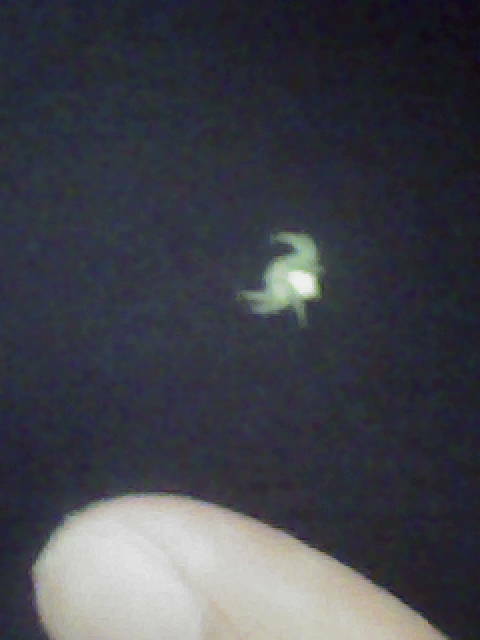 I named the spider Glow. I was thinking of bringing the little dude home, but I didn’t have some place to keep him. Well, I was so amazed. I have never been so enthralled at a spider like this ever…in fact I never really liked crawling creatures. When I stood up to move, I feared that he would flee, but when I came back to my seat again, he was still there. There were times when he would fall off my clothes and into the floor, but I would pick him up again. I have been an avid reader of Paul Ellis’ blog for quite some time now. The blog has a great purpose and that is to escape to reality and know the truth about God’s love that we are unaware of. It just makes me smile, ask, and truthfully no more about the complete Grace of God. Christian or not, I recommend for you to read. Wow. Life has its ups and downs and eventually we learn from all of what we experience. But the most important lesson we have learned rises up above every knowledge and lesson. Our One Big Truth is our central belief. It’s what we truly, deeply believe in and what drives us to make our choices and actions. What is your One Big Truth? Then, go ahead, post a comment and share. Or check out Paul’s blog post here.